What does this price mean?This is the price (excluding shipping and handling fees) this seller has provided at which the seller has sold the same item, or one that is virtually identical to it, in the recent past. The "off" amount and percentage simply signifies the calculated difference between the seller-provided original price for the item and the seller's current discounted price. If you have any questions related to the pricing and/or discount offered in a particular listing, please contact the seller for that listing. "Clear sound quality, no noise, and easy to carry, a perfect assistant of language translation. 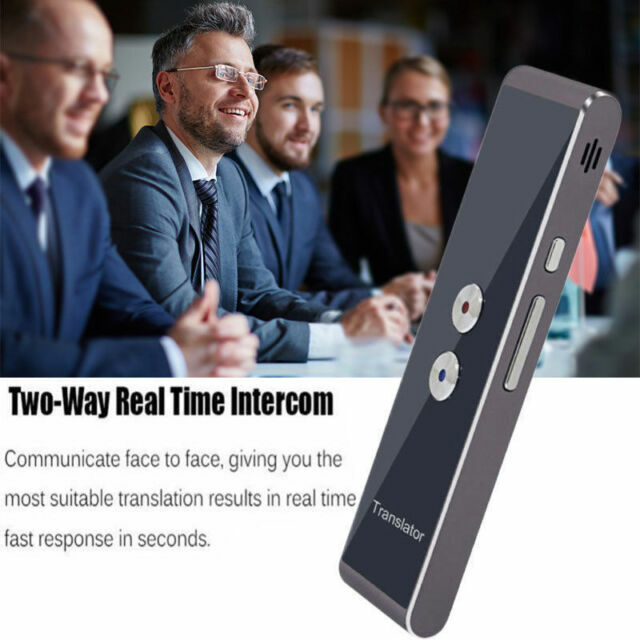 (5) After choosing the translated language, press the button A on the translation stick to start the recording, release the button after the speech is finished, and check the translation results on APP for about 1 second,the translator recognizes the speech as a text,then translates it into foreigh language and plays."